In order to get around this problem, many families rely on kerosene lamps to provide them with lighting. Unfortunately, kerosene lamps give off noxious fumes, contributing to 600,000 preventable deaths per year in Africa. Kerosene is also expensive to buy, with many families spending 30 percent of their income on buying the fuel. By combining potential energy and kinetic energy, GravityLight provides an instant source of light, with no running costs after purchase. GravityLight provides a light with five times the brightness of kerosene, with none of the dangers associated with open-wick lamps. Each time the weight is lifted, GravityLight provides 20 minutes of light without the use of any batteries. The main light also comes with the option at attaching two ‘satlights’, which are smaller lights that can be positioned around the house. The price of GravityLight depends upon whether it’s bought in the developing world, where it will cost roughly $25, or the developed world where it will cost you around $63. 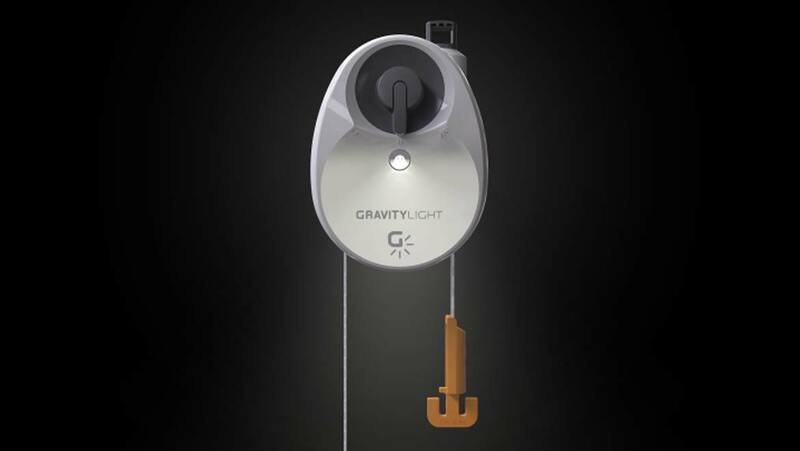 The company is currently focusing its efforts in Kenya, but GravityLight is available to buy worldwide. GravityLight also aims to provide a sustainable business model which creates local jobs. Rather than provide free products, they have established field sales teams and local partnerships in Kenya, providing local residents with the opportunity to earn a living and learn new skills by selling the light within their communities. As well as providing a safe and clean source of light for those living in the developing world, it is also a good option as a source of light in an emergency – a natural disaster cutting out the power grid for example. Unlike solar light sources with batteries that degrade over time, GravityLight is battery free so can be stored indefinitely.